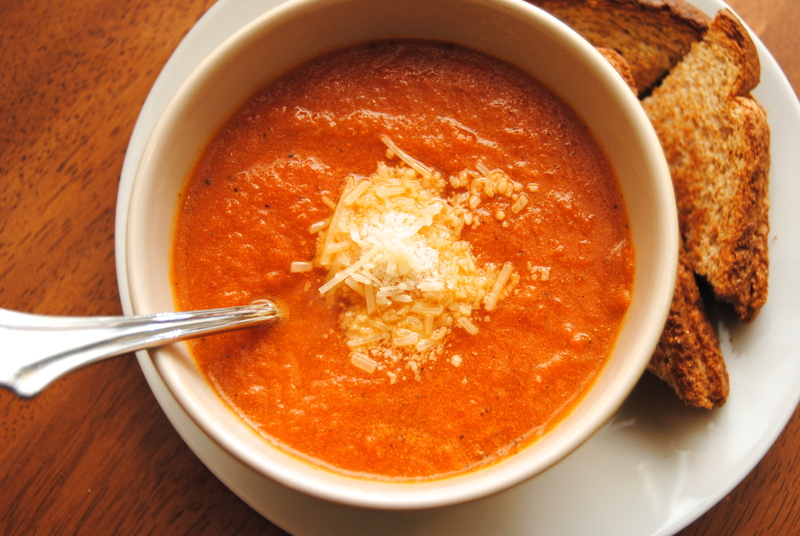 It doesn’t get more classic than some tomato soup and a grilled cheese. Such a fabulous combination! 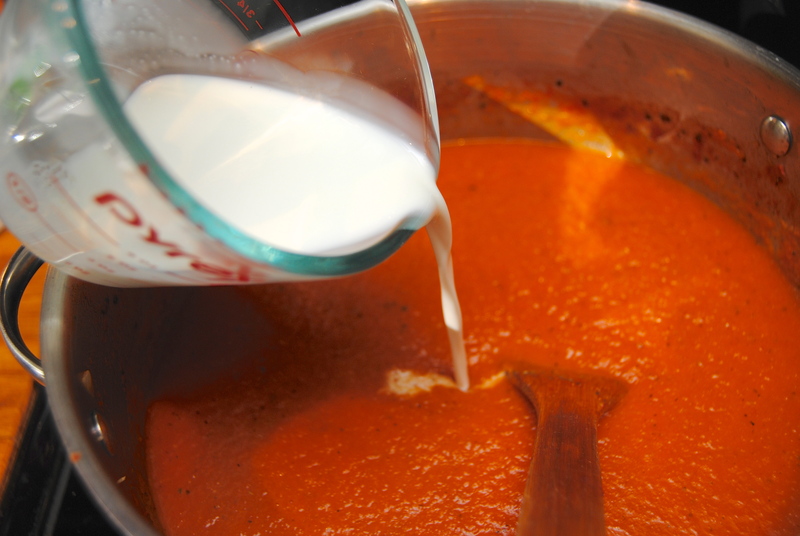 My tomato soup used to be Campbell’s… but I’ve been wanting to make it from scratch lately – because everything’s better from scratch, right?!? I’ve had this recipe floating in my head for a couple of weeks and this weekend I finally got the chance to make this soup a reality. It was really, really good. 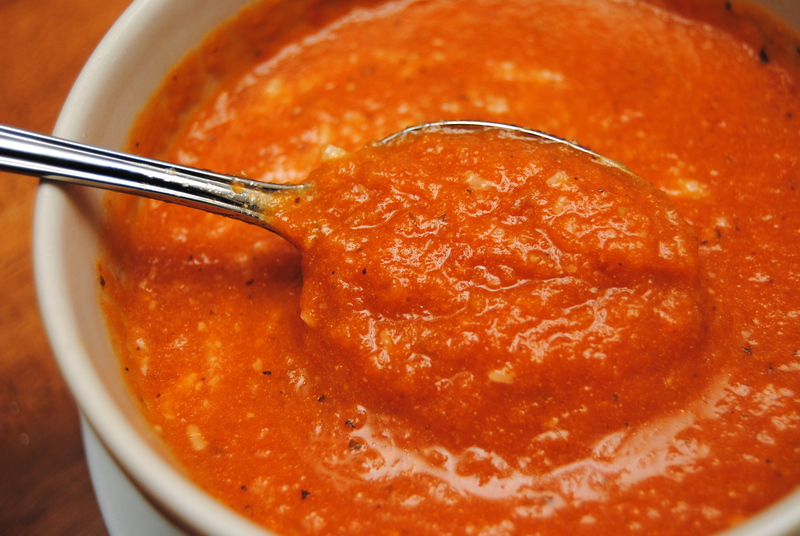 It reminded me of awesome tomato soup I’ve had at Zoe’s Kitchen. Anyways, I will be making this again for sure. Hope you enjoy! 1.) 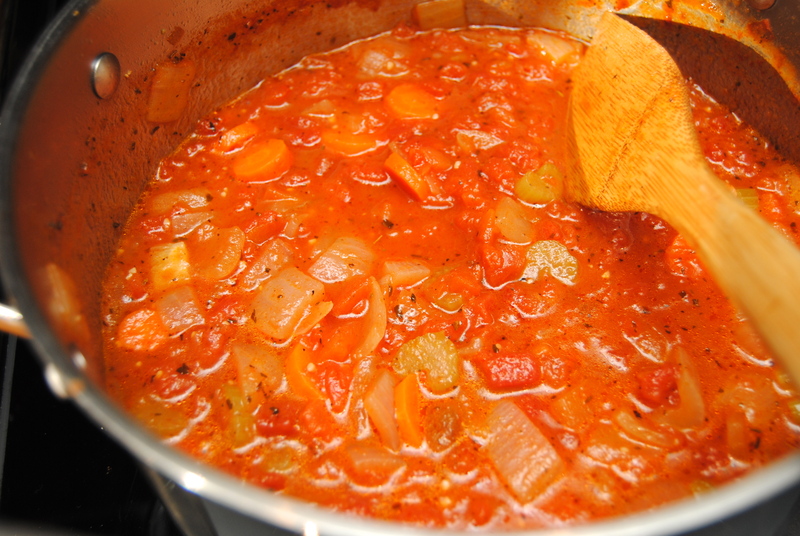 In a large soup pot, heat olive oil and add onion, celery, carrots and garlic over medium-high heat. Sauté for about 8 to 10 minutes. Add chicken broth, tomatoes, basil, oregano, thyme, salt, pepper and sugar. Heat to boil, then reduce heat to medium-low. Simmer for 30 minutes. 2.) 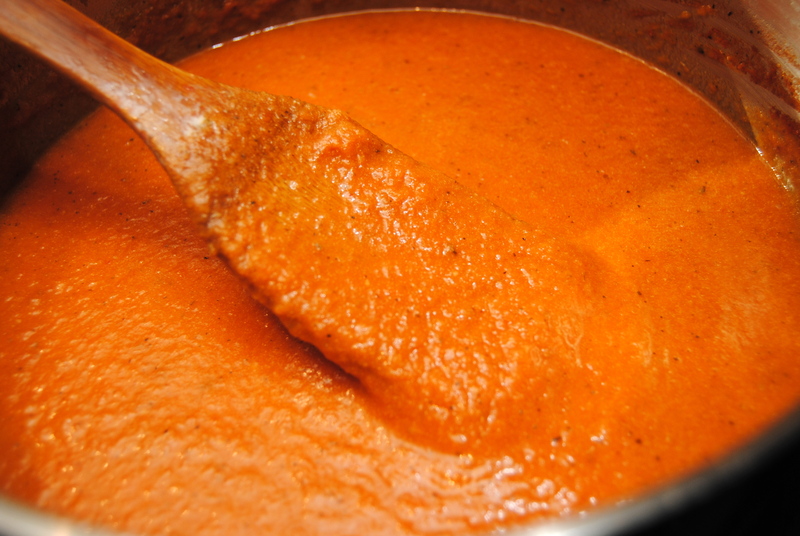 Using an emulsion blender, blend soup until pureed (or add soup in batches to a blender and then return to pot). 3.) Add half and half and cook until heated through. Serve topped with parmesan cheese. This entry was posted in Food and tagged BPA free tomatoes, Chicken stock, Cooking, Soup, Tomato, Tomato soup by biscuitsncrazy. Bookmark the permalink. This looks delicious Jessica! 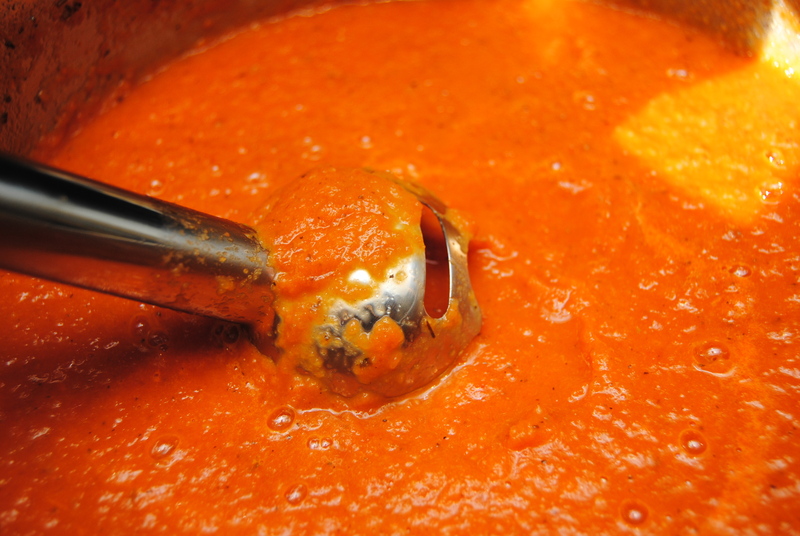 Tomato soup is probably my favorite!